Sisters- it’s here! 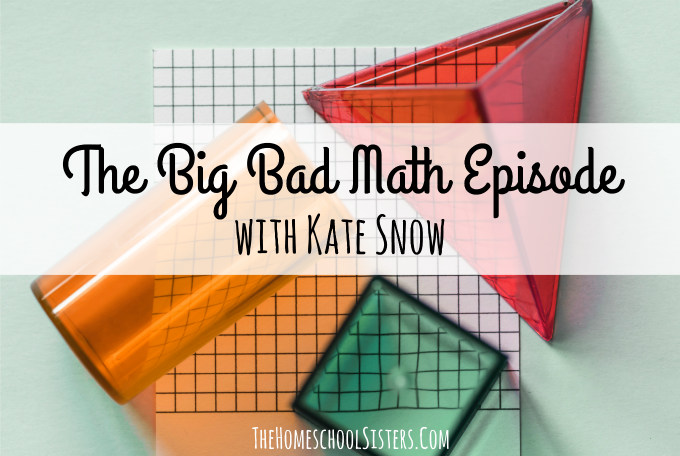 The big, bad math episode! 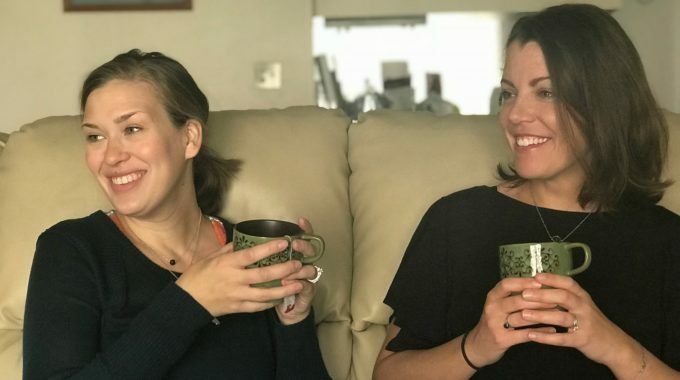 Cait and Kara have been wanting to do a math episode for so long, but they wanted to be sure to talk to an expert who would bring the knowledge, but also put your heart at ease. 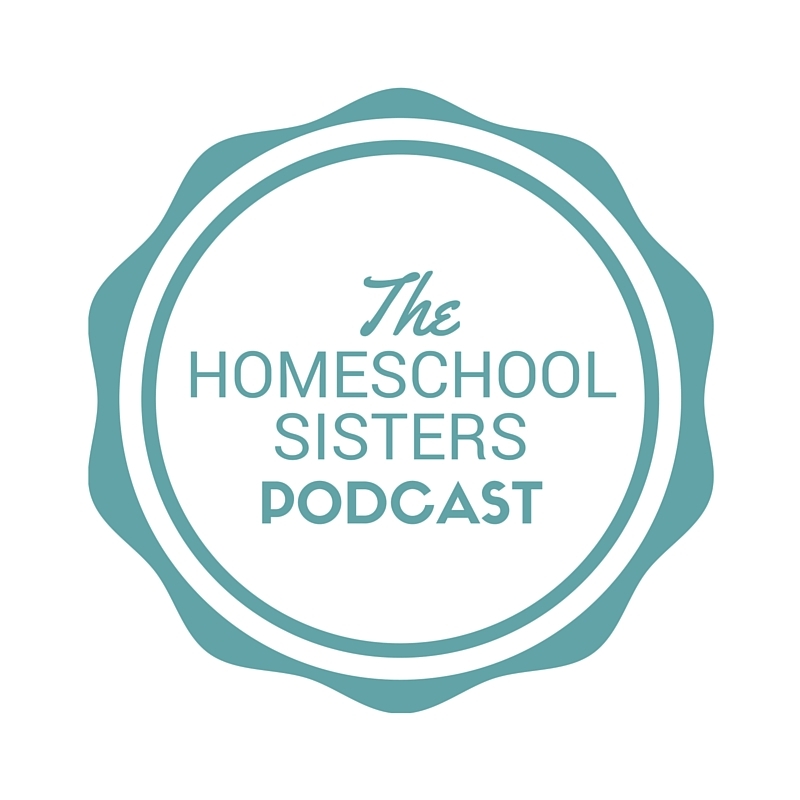 So this week, they are interviewing Kate Snow of Kate’s Homeschool Math Help. Kate is a Harvard grad, a teacher, a curriculum creator, the author of 5 books, and she’s also a mom who has taught math in her own home, so she knows the unique challenges of homeschool families. Pour yourself a nice, hot cup of coffee or tea for this one- and keep your ears open at the end- there’s an opportunity to ask YOUR biggest math questions! This episode is sponsored by Epic! and Audible. Be sure to follow Kate Snow! You can find Kate Snow on Facebook, Instagram, and Pinterest … or sign up for her newsletter! TELL US: Do you have a math question for kate snow? Share HERE and your question might be featured in a future episode! Loved this episode, it came at the perfect time! Question for Kate Snow: My 10 year old son knows his math facts (maybe not division totally yet) and used to love math, but lately, anytime he starts doing problems that are more complicated or have multiple steps (i.e. REGROUPING SUBTRACTION) he gets lost in the steps. A 2 or even 3 digit subtraction problem seems to go ok but if you’ve got a bigger subtraction problem then he loses track of what he’s doing. My big question is how to help him as he learns to do multi-step (and more difficult) math problems so he doesn’t give up, feel lost in the problem or become incredibly frustrated in the process. He views it as he’s a failure at math, because he thinks he should just *get* it, rather than he’s learning and it’s ok to not get it right every time or right away. And then math becomes a huge struggle. 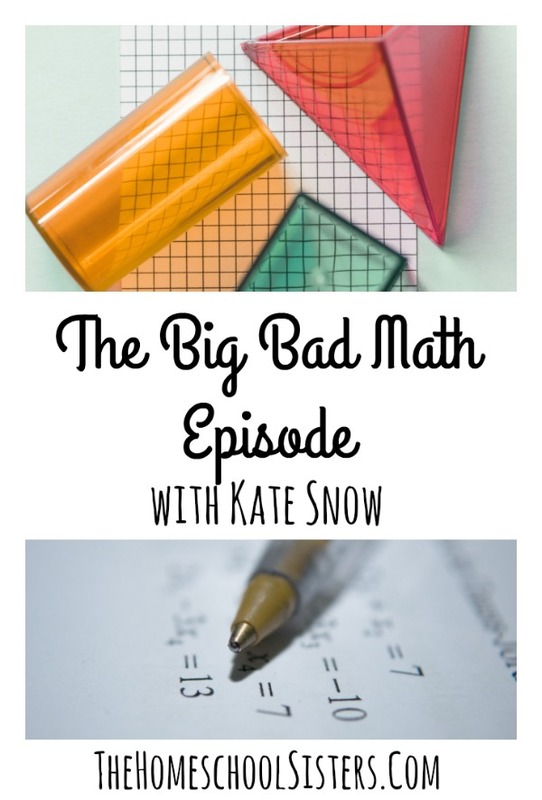 Thanks for this great math episode with Kate Snow! I’d love to know her thoughts on the following: I have second grader with a mild intellectual disability. We have been slowly moving through the Right Start Level A curriculum since she was in Kindergarten. One stumbling block we face is in the area of problem solving. Although she is making progress in math, my daughter almost always cannot answer a word problem question. Most recently, we tried the “wee ones” questions in Bedtime Math until it became clear that those were too difficult for her. She tends to guess at the answer when presented with a word problem. It is as if she cannot picture the numbers in her mind. Do you have any advice for helping a child develop problem solving skills? How can I get her ready to thoughtfully answer the word problems in her math curriculum and beyond (like the most basic questions in Bedtime Math)? Thank you for this episode. Last night my cough woke me up at 2am and my homeschool mom anxiety/guilt over math kept me up until 4 am. I was up researching math curricula, “doing the math” to figure out how quickly we could get through our Right Start A that my (now 8 year old) has been trudging through if we do “x” number of lessons a week (We’re only on lesson 71 of 132, gah!!!). Knowing that it’s moving too slowly for him but scared to jump ahead or change curriculum because I’m the queen of changing curriculums and I don’t want the dreaded “gaps.” I literally prayed that God would give my some clarity in the morning when I woke up (if I ever fell back asleep) and when I checked my email in the morning I saw this post. I love that you pointed out that the curriculum has to work for the mom’s teaching style as well as the child’s learning style. Right Start is a great, solid curriculum and I am terrible at teaching it. I know that many love the open and go, tell me exactly what to do each day curricula and I dread it. I’m too free spirited, I guess. My older son has been thriving with Life of Fred, and we are a literature strong family, so it’s just such a good fit. However, I was finding that when I tried LOF with my youngest last year, he wasn’t getting the basic math concepts so I bought Right Start, hopping the manipulative would help. I feel that he has enough of a base now that we can jump in to LOF with both feet and I can supplement with extra games and activities as I see him struggling, as well as utilizing the games book from Right Start as well as the manipulatives. I just purchased two of Kate’s books and can’t wait to use them as supplements! Thank you for your timely podcast! Loved the episode. I read that kids really understand math when using it in real world problem ( not just worksheet number problems and I am not sure when to use an algebra equation in real life). I was wondering if Kate could recommend resources ( books,etc.) that used upper math in real world problems or word problems. I can do real world problems with elementary math but as my daughter progresses in pre algebra I am having a harder time with problems from life. Could Kate recommend resources for real world problems for upper level math ( algebra and geometry) to help me answer the ” when am I going to use this” question.